Structured Query Language (SQL) is the industry standard database programming language. 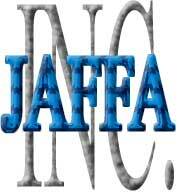 It is used to create databases, manipulate and retrieve data, and to provide security for relational databases. Some of the more popular Database Management Systems (DBMSs) that implement SQL include Microsoft Access, Microsoft SQL Server, Oracle and MySQL. If you manage data or plan to work in a field managing data, you should make learning SQL a priority. 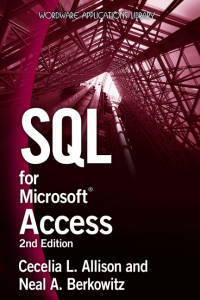 SQL for Microsoft Access 2nd Edition unlocks the power of Structured Query Language (SQL) in Microsoft Access. It guides the reader through step-by-step examples of creating a database in Microsoft Access using SQL script to create tables, add records to tables, and retrieve and manage records using simple to advanced data manipulation techniques including queries and views. The reader also encounters examples of integrating SQL script into VBA and ASP code. Learn how to insert, retrieve, and filter records. Understand how table joins, unions, and subqueries are used to retrieve records from multiple tables. Learn how to use views and temporary tables. Discover how to prompt the user for information with parameter queries. Find out how SQL can be used to enhance Active Server pages. Test your knowledge through the end-of-chapter quizzes and projects. SQL for Microsoft Access is a great supplementary textbook for teachers/instructors that teach courses related to database creation and administration. Many students are not aware that Microsoft Access provides an interface for typing SQL and they are even more amazed with how easy it is to follow the book and come away with such knowledge of the SQL language. Click here to obtain the SQL script to create the tables used in the book. Dr. Cecelia L. Allison is originally from St. Petersburg, Florida. She is a published author, a technical writer, and an online instructor. She developed and facilitates the course entitled Introduction to SQL which is offered on-line through hundreds of accredited colleges, universities, and other accredited educational facilities worldwide. She writes books for Jones & Bartlett Learning and facilitates on-line technical courses for Park University. Dr. Allison has been using SQL for many years. Through her past employment she has gained extensive experience in writing and implementing SQL. She holds a Bachelor of Science in finance, a Master of Science in information systems, and a Doctor of Business Administration in management information systems. Neal Berkowitz is a computer consultant, author, web designer, system analyst, and computer builder with 25 years of experience. An acknowledged Access expert in the Dallas area, he has co-authored four books for Wordware and written a number of articles.